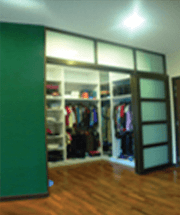 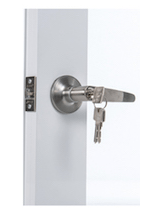 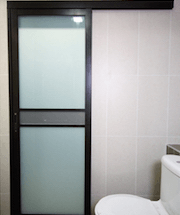 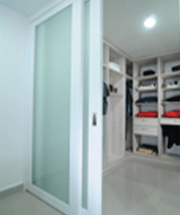 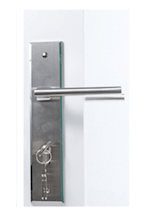 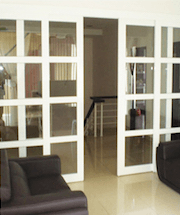 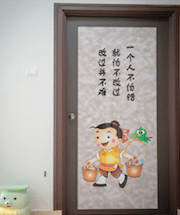 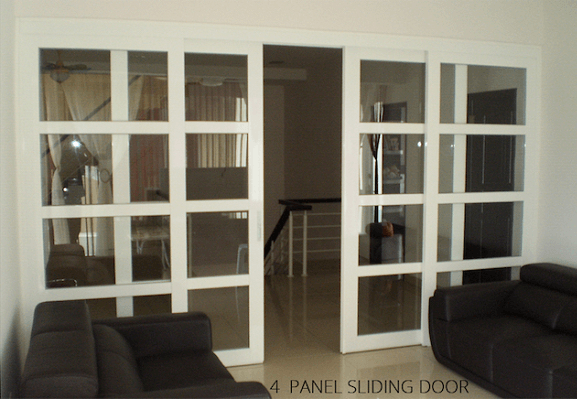 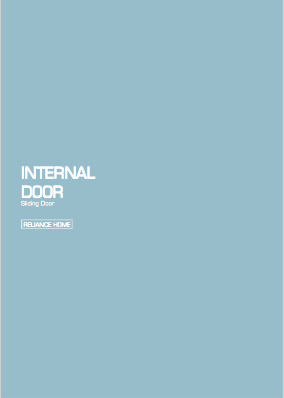 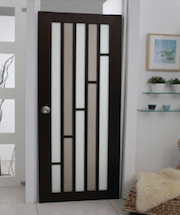 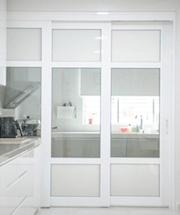 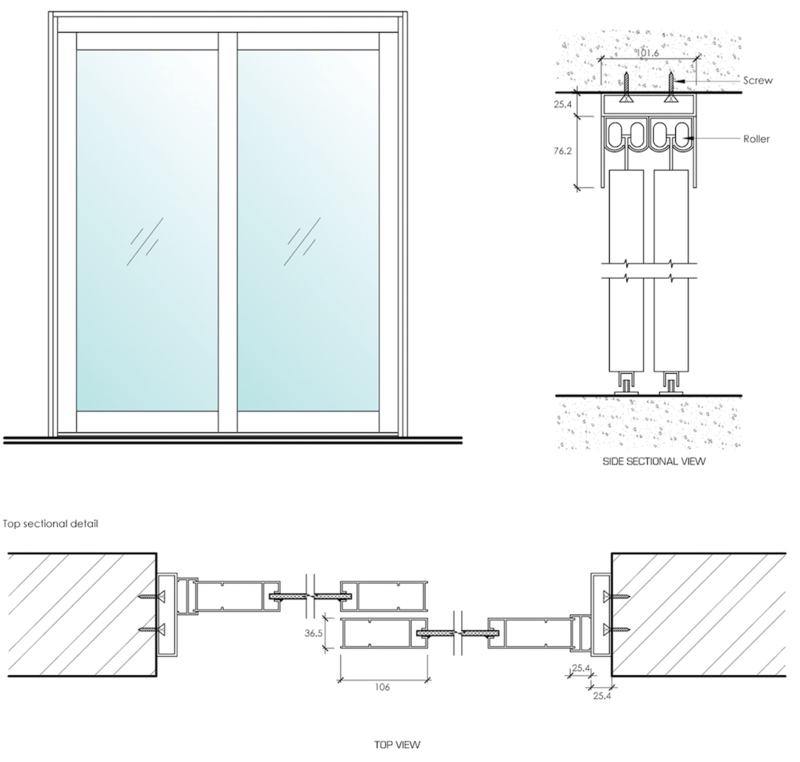 Sliding Door is often used in Kitchen Door or Toilet Door due to its space maximization. 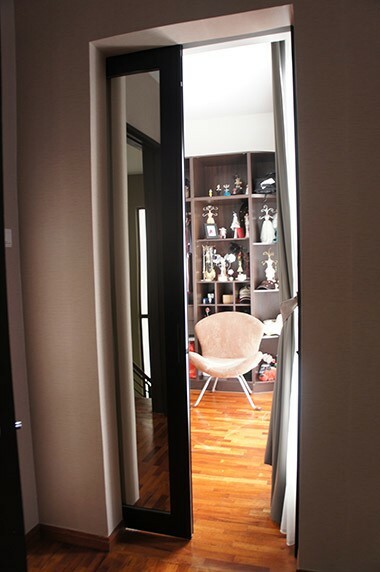 To install a Sliding Door, one must make sure there is a side space for the door to slide along. 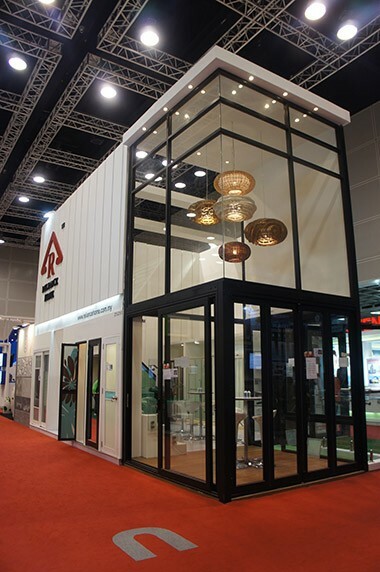 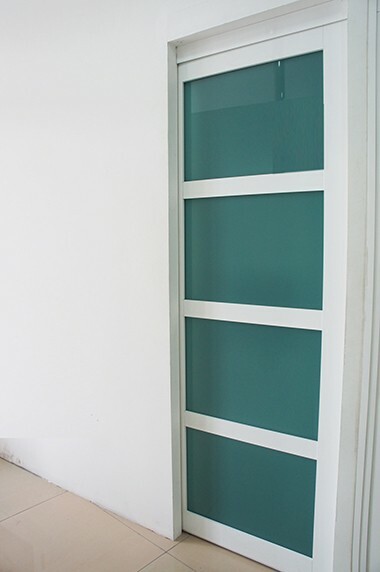 Our Sliding Door is also known as suspended door, which the door panel is hung upon the top track to glide along, the main innovation of this door is trackless. 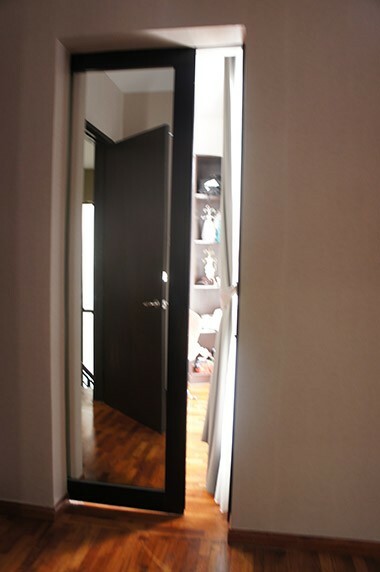 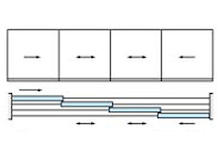 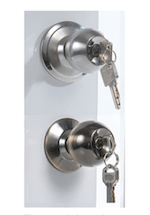 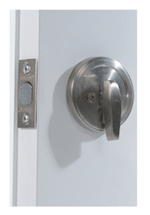 which means there is no bottom track to glide this door as compared to the conventional once. 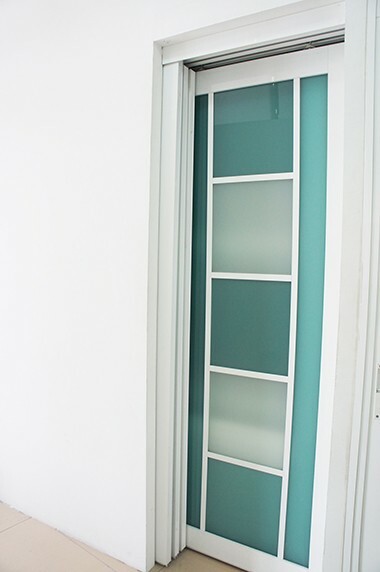 Without bottom track, this door is free of track coordination problems. 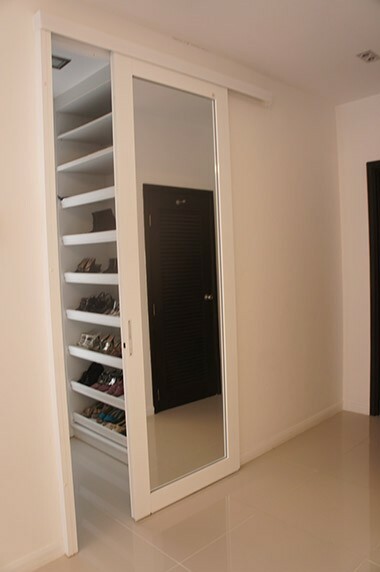 It is much more durable and clean without having to damage your floor caused by the installation of the conventional bottom track. 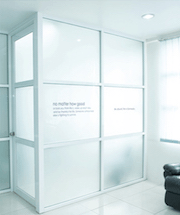 Arcllic Panel is a plastic panel which is much lighter in weight as compared to glass and Eco Panel glass. 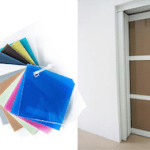 It comes with solid color and is cheapest among other materials. 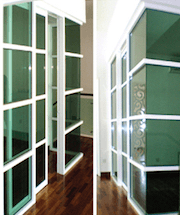 Eco Panel is also named as “pictured glass” which comes in many graphic design. 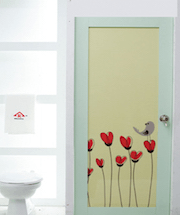 In Reliance Home, we provide more than 5000 designs to choose from. 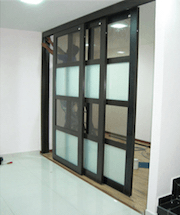 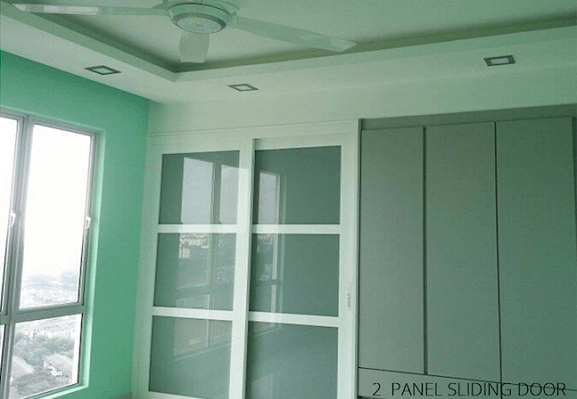 Our Sliding Door is also known as suspended door, which the door panel is hung upon the top track to glide along, the main innovation of this door is- trackless, which means there is no bottom track to glide this door as compared to the conventional one. 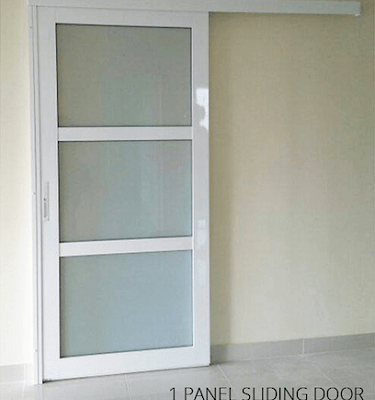 Without bottom track, this door is free of track coordination problems. 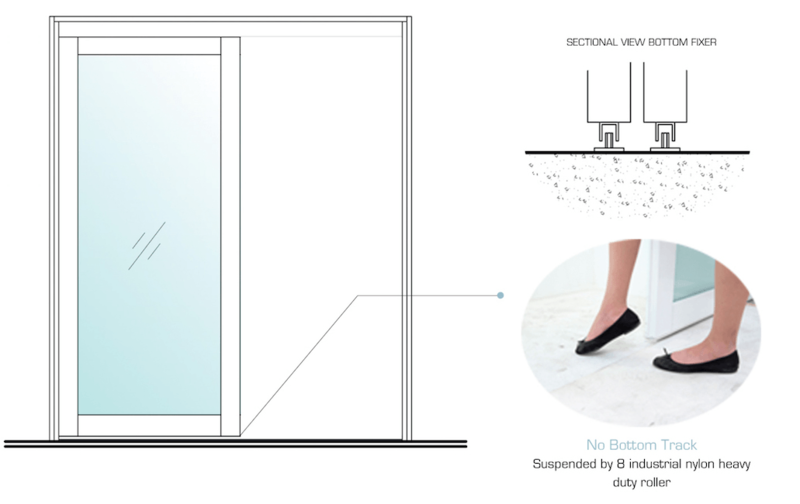 It is much more durable and clean without having to damage your floor caused bythe installation of the conventional bottom track. 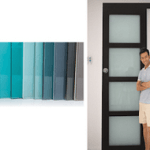 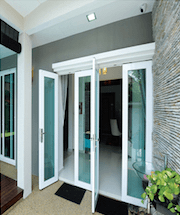 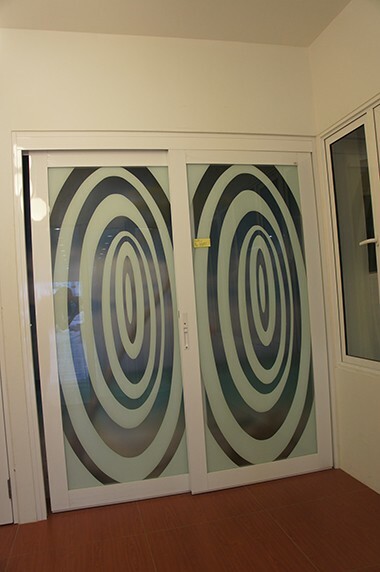 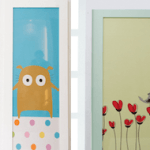 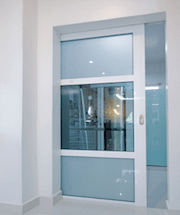 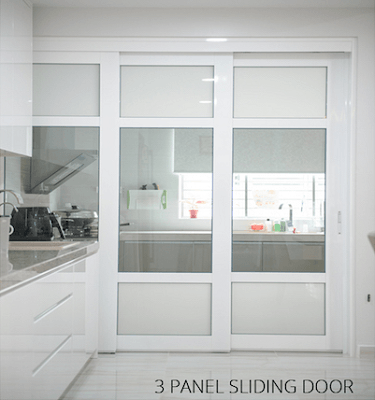 Same as other doors, Sliding Door is made up of aluminium frame with various choice of infill panel such as: Polystyrene, Acrylic Panel, Fiber glass and Laminated Glass. 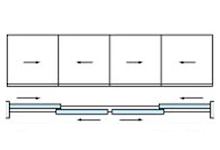 Our top rollers are made up of industrial nylon, which are heavy duty to support 80kg per panel. 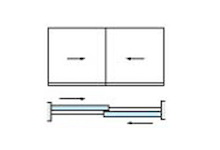 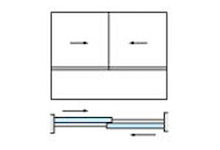 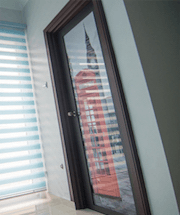 Our rollers are made of finest quality nylon with multi labyrinth to provide an effective sealing support. 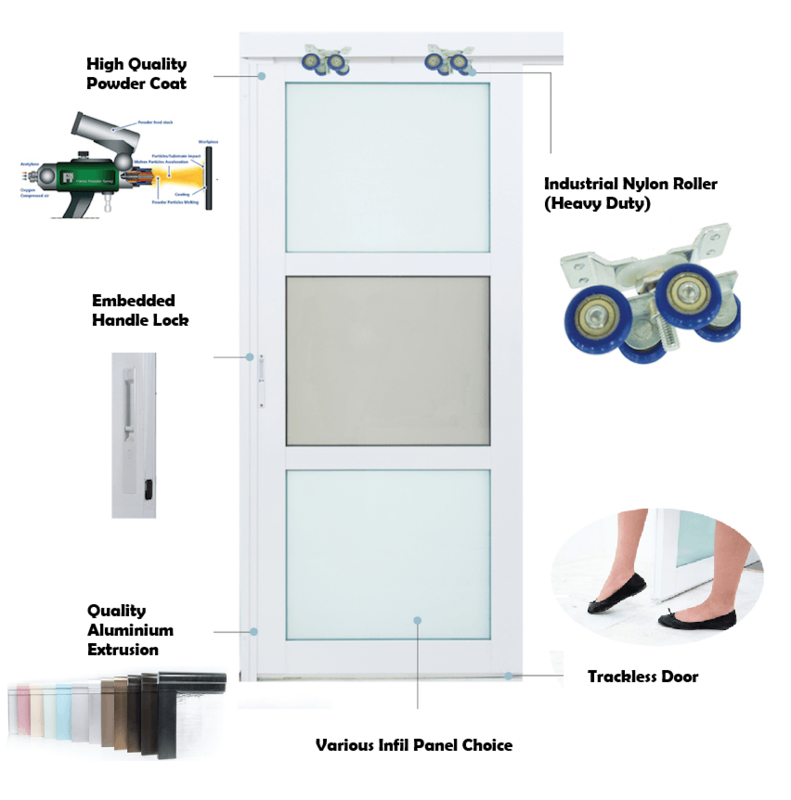 Our Sliding Door is suspended by 8 heavy duty nylon rollers. 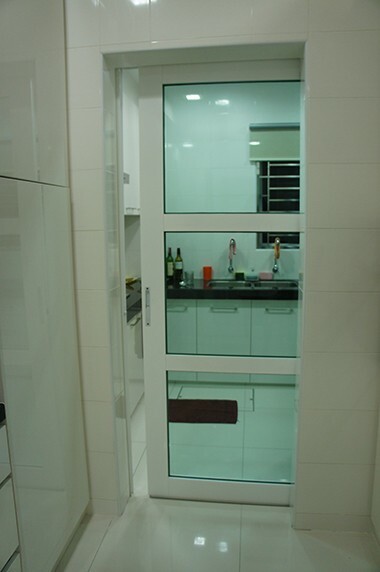 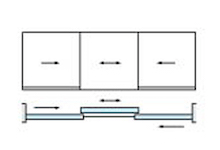 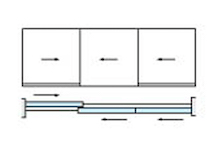 Without bottom track, door is free from any coordination gliding problem between top and bottom rack.